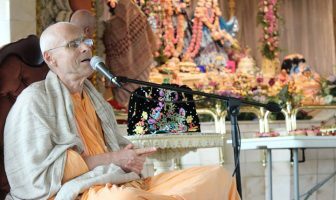 Yesterday, at the Sunday program, I mentioned that chanting changes us internally and it awakens our love for Krsna and because of that, our whole perception of reality changes. Then our whole perception of the maha-mantra changes. 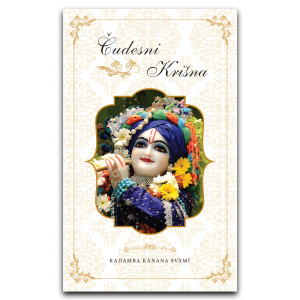 In the beginning, we think that the Hare Krsna maha-mantra is very powerful but then later on, we realize that it is much more powerful than we ever thought it was. 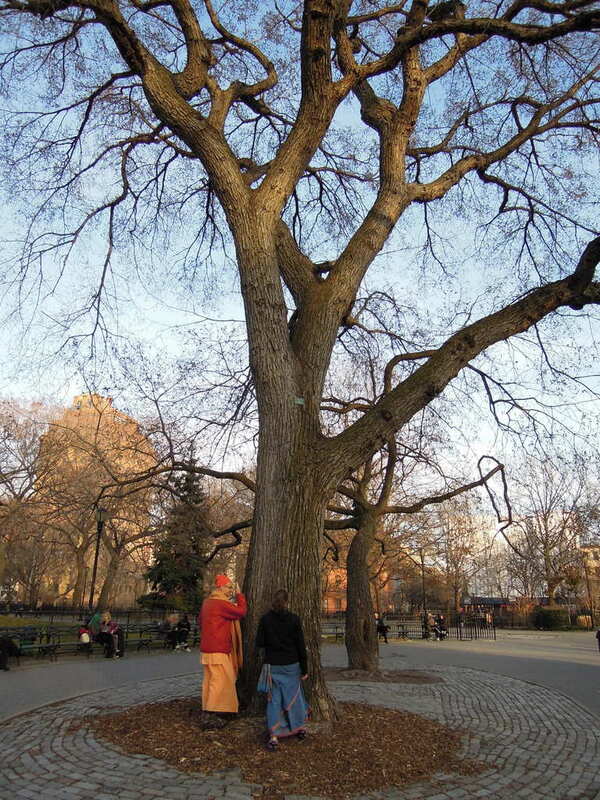 Srila Prabhupada had that understanding and therefore he had full conviction when he chanted under the tree in Tompkins Square Park. He had no doubt that all the hippies and other people will become devotees. Now in Tompkins Square Park, there are bums living there because it is on the Lower East-side, a run down part of New York. Still today, bums sleep in the park but they like to chant Hare Krsna because there is a desire tree in the park. 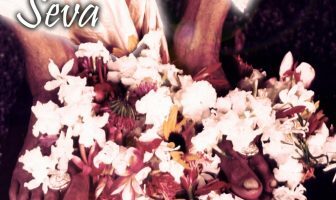 When a great vaishnava graces a particular place then that place changes, it becomes transformed by his presence. 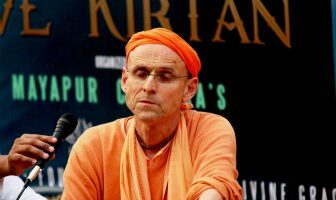 So Prabhupada turned that tree into a desire tree simply by chanting under that tree. 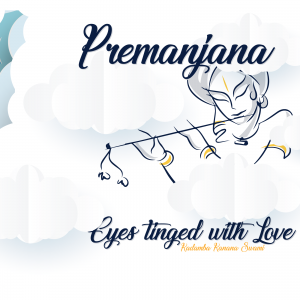 By Prabhupada’s potency, that tree has become a desire tree just like so many places on the planet wherever Prabhupada went, they became transformed. If you go to these places, whether you know it or not, you will be touched by it. So even the bums in Tompkins Square Park chant Hare Krsna, not on japa, but whenever they see you, immediately they say, “Hare Hare! Hare Krsna! Krsna Krsna!” They say it so many times, not once but they keep on repeating it because of the desire tree. 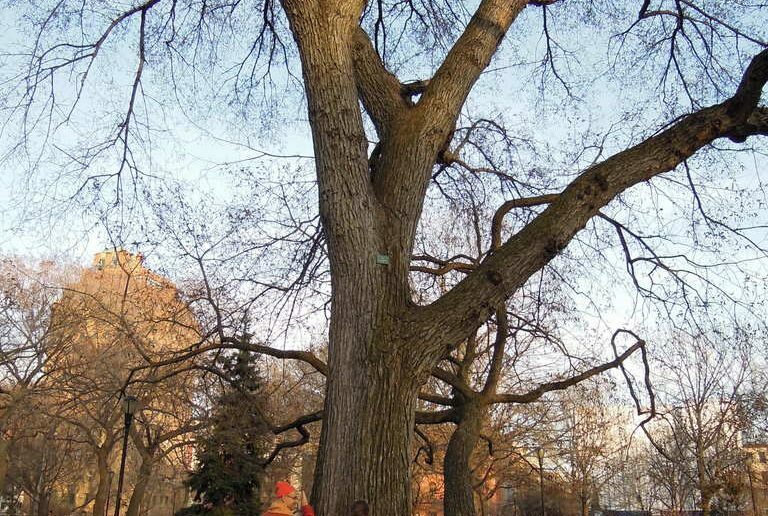 If you live in a park with a desire tree, what can you do!? That park has been blessed by the dust of Prabhupada’s feet. Staying in that park makes one chant Hare Krsna even when one is totally in the mode of ignorance, it does not matter. That tree is definitely transcendentally potent for all and everyone.